Between 2005 and 2012, one of the most rumored and talked about upcoming Star Wars project was the Live Action Series, Star Wars: Underworld. 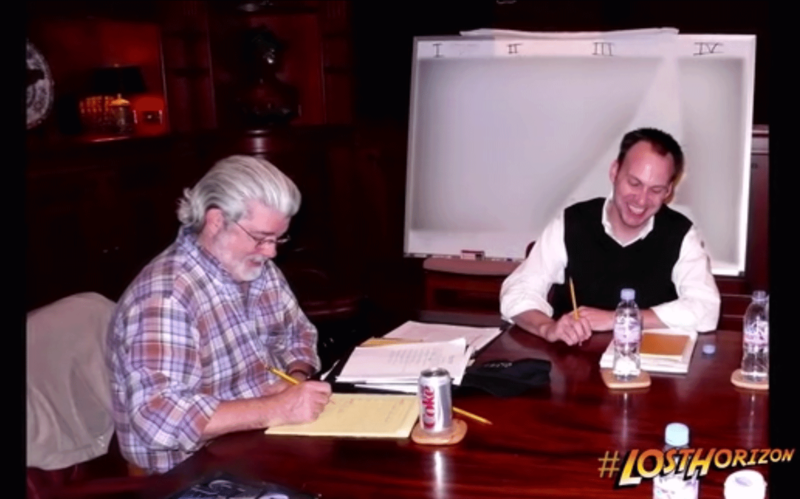 While the show seems to have been scrapped in light of the Episode VII announcement, one of the writers of the series is discussing his time working on the series with George Lucas. Scaia discussed his time working on the project in a Kickstarter video, promoting his Kickstarter project to make a Indiana Jones fan film, Army of the Lost Horizon. He revealed that the serious would have begun with a different part of the Star Wars galaxy and then slowly moved back into the parts of the galaxy we know and love. He also revealed that there would have been scenes that featured Han Solo and Chewbacca meeting and Lando losing the Millennium Falcon to Han! You can see the video of Scaia talking about his time on the project, by checking out the Kickstarter page and scrolling down to the video titled "The George Lucas Story". I must say, this sounds like it would have been incredible. A lot of what we'd been hearing was that the series would have featured mostly new characters, so it's interesting to hear about how the series would have progressed. While it's unlikely that the series will be seen anytime soon (if ever), hopefully elements from the scripts get used in new Star Wars projects like the stand alone films, TV series, etc. I still hope this series gets made one day. It sounds so awesome! I think an awesome series would include parts mentioned in the Star Wars trilogy that we never got to see. EX: the bothan spies who die getting the technical readouts for the empire's second Death Star, looming over the forest moon of endor. That could be very intriguing.